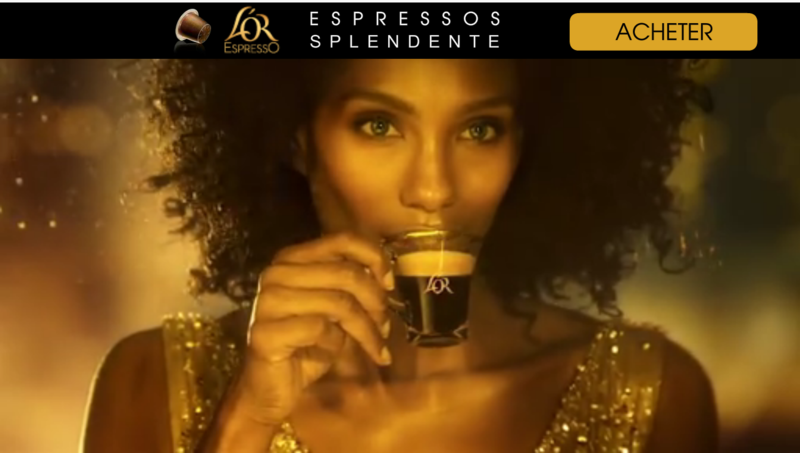 This summer, L’Or Espresso launched a video campaign to promote coffee capsules, Splendente. 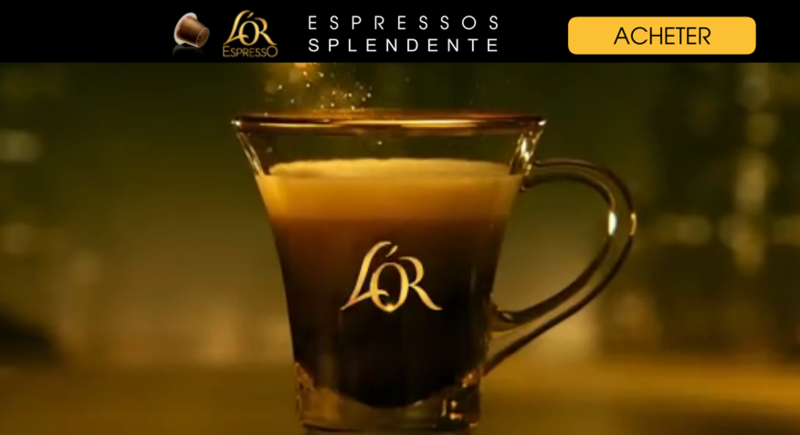 To support its media plan, L’Or Espresso and its advertising agency decided to integrate the Buy now by Swaven to generate commitment. From the consumer side, the shopping experience is very interesting. 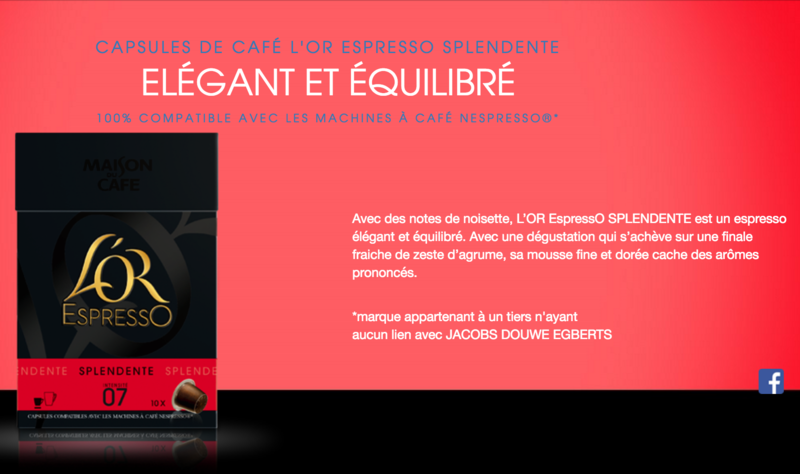 In two clicks, the consumer can buy his coffee capsules at the retailer of his choice and close to him. 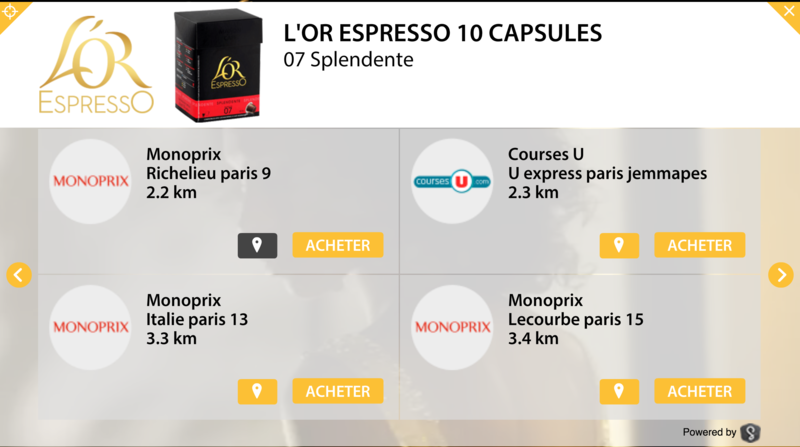 Indeed, when the Buy button activated, a widget opens and localize the consumer and offering to him various retailers in his area, with the product.